It was 4.30 PM on the evening of the 1st of March 2018. Air Commodore Mathew Williams (retired from the IAF, veteran of three wars and holder of the Vir Chakra) stretched in his easy chair in the veranda of his villa in Kimnur, a remote village in Himachal Pradesh. He looked fondly at his granddaughter Karen Lakshmi playing with a doll some distance away from him in the garden. Karen was all he had left in the world. His elder son Jack, who had joined the Indian army (and who had held the staunch opinion that anyone who joined the IAF was on a suicide mission,) had died in the Kargil war. His younger son Richard, a civilian, had died in a car accident a few years back, along with Mathew's wife Mary and his daughter-in-law Lata. Richard had married a Hindu girl much against his father's wishes and for several years Mathew had disowned the entire family. But one had to say this for Mathew; he never stopped his wife Mary from visiting Richard and his wife. Then Karen Lakshmi was born and a grandfather's natural craving to hold his granddaughter in his arms was too much for Mathew. One summer, after he had seen Mary off at the airport for a visit to Richard's place in New Delhi, Mathew had himself set off to the airport the next day and had caught the first available flight to the capital city of India. He had landed up at his son's house unannounced. He had simply swept his daughter-in-law and little Karen Lakshmi into his arms as soon as he had entered the house and had cried buckets much to his own surprise and embarrassment. From that day onward the family celebrated Diwali and Holi along with Christmas and Easter. Mathew heaved a sigh of longing as he thought of how wonderful things had been just a few years back. Then came the news of that awful car crash and Mathew was left to grieve with no one to call his own, except little Karen. He was fortunate to have her because it was pure chance that she had been dropped off at a friend's place just before the accident happened. A little teardrop formed itself at the corner of the air commodore's eyes and flowed down his cheeks. Mathew was a man who faced life as it came. He never cried and he was very tough. But with age, he was becoming soft. Suddenly he noticed that Karen was no longer to be seen. Immediately Mathew jerked bolt upright from his chair and rushed to the garden. He began looking everywhere and shouted, "Karen! Karen! Sweety! Where are you? Come to thatha immediately." 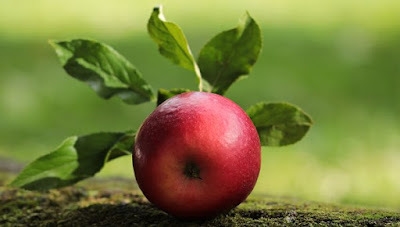 He suddenly saw her under the only apple tree in his garden, bending over something red that had probably fallen from the tree. Soon he was with her and saw that her lips were stained red. She was looking at an object she had obviously dropped. At first, Mathew thought it was a bright red apple and bent down and touched it. Suddenly his fingers became sticky with a thick red liquid and he realized that whatever the object was, it was definitely not an apple. Alarmed and very uneasy, Mathew picked up little Karen and the object she had dropped and rushed indoors. This is chilling. I'll be back for more tomorrow. Visiting from the A to Z Challenge. Oh.. Looks like a Stephen king story.. Thrilling indeed. Fantastic, absolutely fantastic! Now, that's how you start a story. Air Commodore Mathew is a very interesting character. Congrats, Jai. You have me hooked. Very intriguing. I loved the story setting. Waiting for tomorrow’s post. Wow, I thought it was going to be a nice sweet ending! Intrigued to find out what it was she found. Great start. What an unexpected twist in the tail! You've got me hooked for sure! I will be back for more! Great writing! What a beautiful write up. Loved the ending. Coming back tomorrow to read about the red object. Loving the way you built it up. Can't wait to read more now! Quite a build up and I wonder what the object was. Quite a start! Oops! What could that thing be? That was intriguing. I can't wait to read what happed to her. Very well written. This is torture, Jai. You can't build so much of suspense and thrill in your first post! Oh gosh! I hope she is alright. It would be so sad if something were to happen to Karen too. Look forward to the next installment. This is an intriguing start to the story. Liked it. My first post was J and I realised this was a series. Loving the start of this story! Great start to the story. Short, clear sentences, good flow. 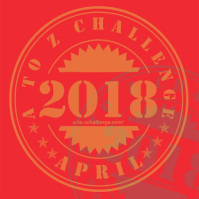 Would love it if you could check out my #AtoZchallenge post on A.